nxtControl - The world is distributed<br> – full stop! Actual control solutions cannot sufficiently respond to the exigencies of distribution. Even much less if visualisation is involved. 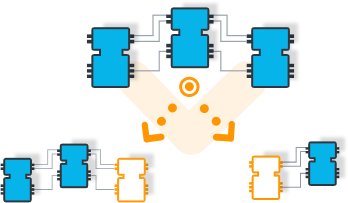 The solution is an integrated software based on IEC 61499 for distributed control systems. 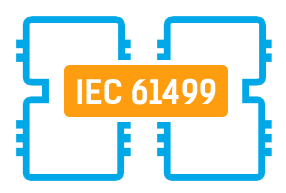 IEC 61499 is the successor of the IEC 61131 standard. It provides the basis for modern automation. IEC 61499-based control technology can be used to programme complete plant and equipment, even with several controllers in a distributed control system. Distributed intelligence is thereby enabled. An essential prerequisite for future trends like Industry 4.0, Internet-of-Things, Smart Grids. IEC 61499 uses the same programming languages as IEC 61131, but it provides many more solution possibilities. A main paradigm of IEC 61499 is the event-driven execution model, which enables the distribution of control logic (at nxtControl the communication paths are built automatically). Moreover integration into IT-Systems is much easier as both worlds are then event-driven.